A first for the festival, make your plans now to enjoy this fabulous group! 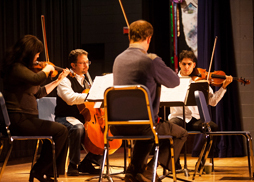 Big Galut(e) performs a unique repertoire of Jewish and Jewish-themed music spanning five continents and six centuries, including Klezmer originals, tango, and works of Salamone Rossi, Shostakovich, Brahms and Mahler. Friday Night in the Gallery this year will be an opportunity to Meet your Musicians. Come and enjoy an informal chance to meet, ask questions of, play for (bring your instruments!) our resident Artists for the week. All ages are encouraged to be part of this session and light food and drink (again provided by Shari Dutton and friends) will be offered. 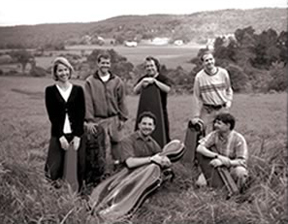 "The Central Vermont Chamber Music Festival has come a long way since it was founded in 1993 by Peter Sanders, a New York cellist who grew up spending his summers in the Randolph area. 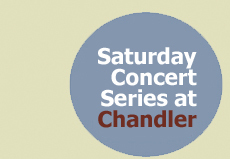 An indication of just how far is its excellent New CD, "Festival Harvest," a compilation of live performances of works by Mendelssohn, Schönberg and Frank Bridge at the Chandler Music Hall in 2000 and 2004. 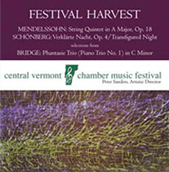 When I first heard the album, I had recently heard an excellent performance of Mendelssohn's A Major String Quintet at Vermont's justly revered Marlboro Music Festival. The same work opens this CD, and I actually preferred the Randolph performance. That's big praise."